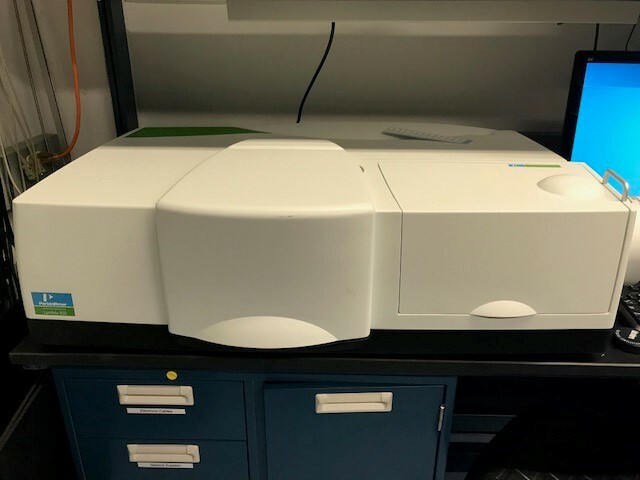 The Perkin-Elmer Lambda950 spectrophotometer is equipped with a 150mm InGaAs integrating sphere and PMT/InGaAs detector which work in the operating range 175-2500nm. The instrument is routinely used to measure absorbance, transmittance/reflctance of powders, pellets and thin films. The integrating sphere expands the measurement capability of this instrument to include the total and diffuse reflectance of both specular and diffuse samples.